I brined my chicken thighs in a solution of brown sugar and salt for about an hour beforehand, but this step can be skipped–I found it DOES make the chicken more tender, though. Brown but do not caramelize onion in a hot pan for about 5-10 minutes. Reserve. Lightly cook garlic in more olive oil in same pan for a few minutes, reserve. Add yet more oil, turn up heat, and add chicken thighs. Brown on each side, about 2-3 minutes. Add 1/2 cup of white wine. Let boil off a bit. Add mushrooms and red bell pepper, then add onion and garlic. Cover and reduce heat to low-medium for about 20 minutes. Remove chicken and set aside. Squeeze juice from a lemon into pan, add parsley. There should be a lot of liquid in the pan at this point; turn up heat and reduce liquid for about 5 minutes. Add crème fraîche, salt, and pepper, and more lemon juice is needed. Return chicken to pan, cover, and heat over low-medium for another 5 or so minutes. It’s pretty much done by this point. Serve with mashed potatoes or wild rice. We even had the proper wine glasses in which to serve the wine: Riedel Riesling grand cru glasses, which you can see at right. We also had a “backup” bottle, a 2007 Dr. Loosen Alex brought back from Germany last semester. The meal itself was, I think (and Alex agrees), delicious! A pleasant bit of tart freshness from the lemon and parsley, with flavorful mushrooms and sweet, still somewhat-crisp cubes of red bell peppers swimming in a creamy sauce. Dessert, too, was good: Greek yogurt with crushed marcona almonds, honey, and blueberries. But this is a wine blog, right? The wine was extremely tart at first, with Waiching opining it tasted like a Pink Lady apple, then a Fuji. There was definitely something apple-y about it, with a hint of spice. Honey, too, green fruits. Definitely a good deal of sweetness. There was subtle oxidation, surprisingly little for a 19-year-old wine (the Viña Gravonia mentioned earlier seemed much more oxidized though it was 10 years younger). The mouthfeel seemed a bit limp, unfortunately, and the finish, while it did last, wasn’t too memorable. Overall, it was a good wine and one I am glad to have tried. It was worth $35-$40 in my book, though I’m not sure I would go out of my way to seek this particular bottle out. I think we were expecting some more pyrotechnics, something more… absurd. Which is what we got at a 9:40 showing of Bad Lieutenant: Port of Call New Orleans, Werner Herzog’s latest offering (Alex is a huge Herzog fan, forcing–I mean convincing–me to watch a few of his movies). Nicolas Cage is the title character, a police hero who spirals into drug addiction for a back he injured saving someone’s life during Hurricane Katrina. This is an excellent, excellent movie, one of the best I’ve seen all year, a gem of a black comedy featuring a surprisingly restrained Val Kilmer, imaginary iguanas, break-dancing souls, and Johnny Adam’s rendition of “Release Me”–the soul version of what Engelbert Humperdinck made famous in 1966. Be prepared to want a lucky crack pipe. 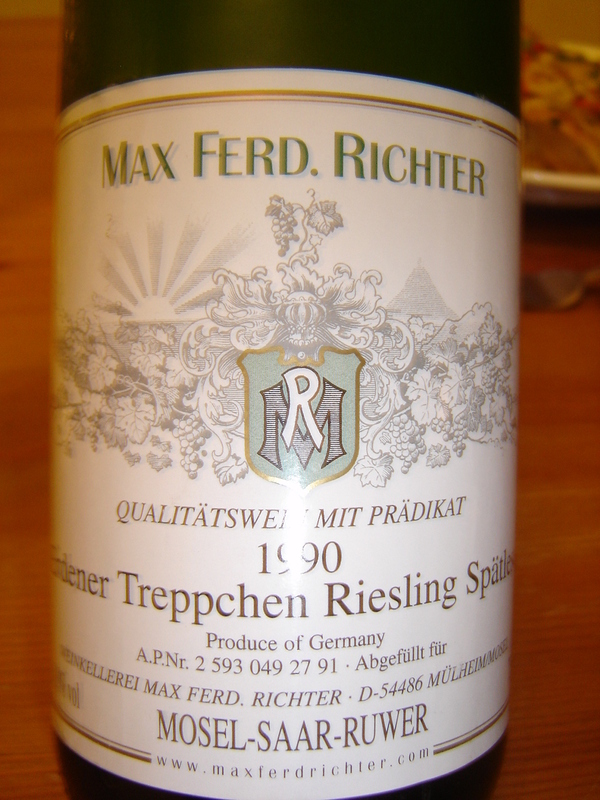 Old rieslings are hit and miss unless from an exceptional producer. However, they are usually fairly priced and enjoyable. I’m not surprised at the apple, that’s typical for riesling. Also, the oxidation levels in the heredia wines is atypical for old whites as I think the extreme oak aging tends to bring out a more extreme oxidative effect in those wines. Hey Shea: yeah, I could imagine your first observation being true just from this experience. It wasn’t bad, it was actually quite good–BUT it wasn’t transcendent. 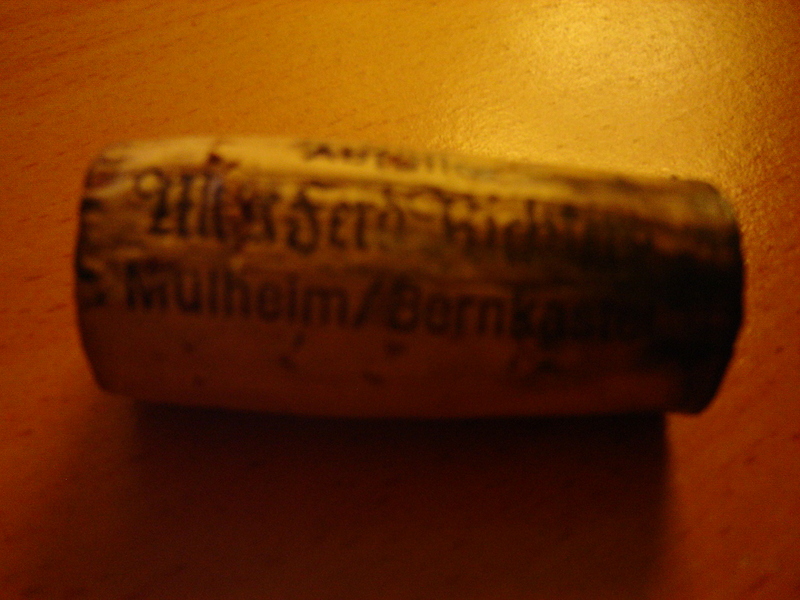 I would take the Heredia over this riesling on any given day! 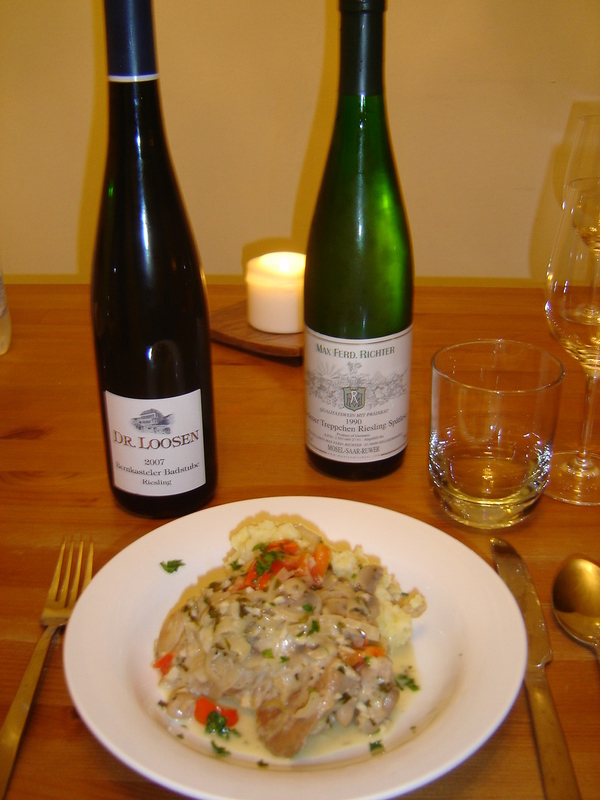 Don’t get me wrong, a great old riesling is transcendent!